In Episode 13 we bring you Australia and the world! 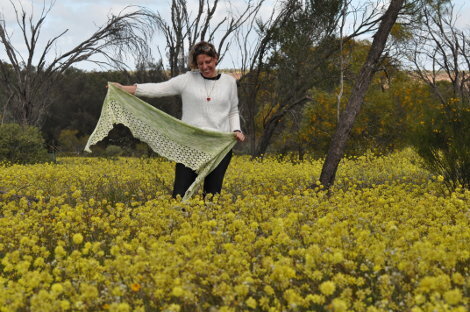 Petah from Dingo Dyeworks joins us from Perth for a chat about wildflowers, trees, dirt and Merinos. 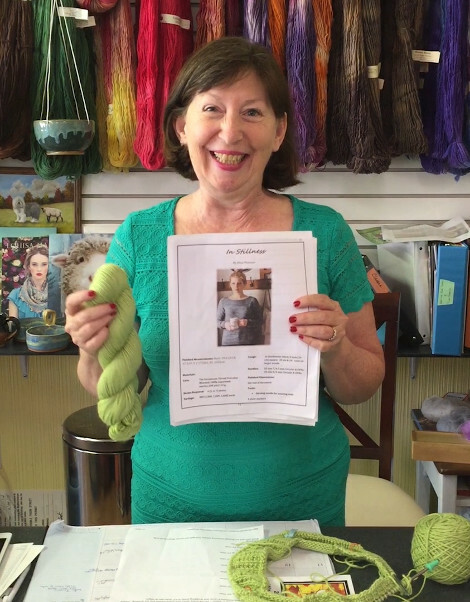 We meet Vicki from South Eastern Australia in Knitters of the World. 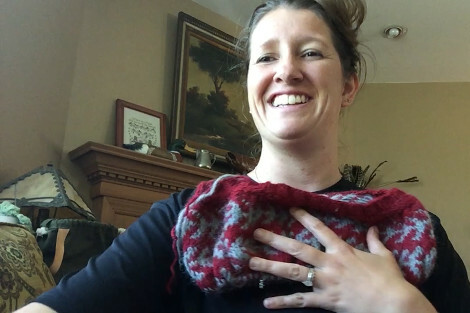 And we travel the world with our video updates for our Fruity First Garment KAL and our Fruity Fair Isle KAL. 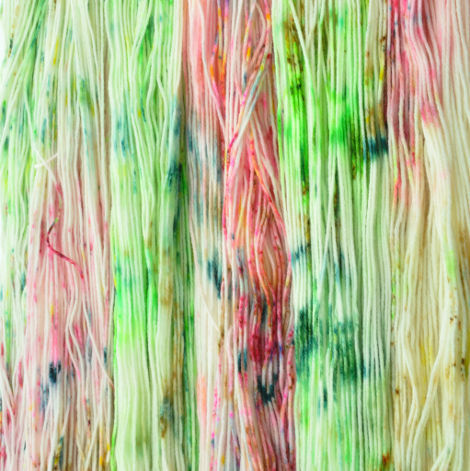 Petah launched Dingo Dyeworks in November 2015 and it’s already making a splash in the yarn world. Petah is passionate about Australia, having emmigrated from the Netherlands at the age of 13. She traveled throughout the country with her family and developed an appreciation of the Australian flora and fauna, which she now applies, very effectively, to her colorway designs. Petah is also qualified as a veterinarian, and in our interview she discusses “mulesing”, the practice of removing a section of skin from Merino sheep to prevent fly-strike. It’s a difficult topic and one that Petah considered in her selection of base yarns for her collection. As expats, we sometimes feel we love Australia more now than when we lived there. Seeing Petah’s colorways for the first time, we were struck at how well she had captured the colors of the country’s flowers and landscape. 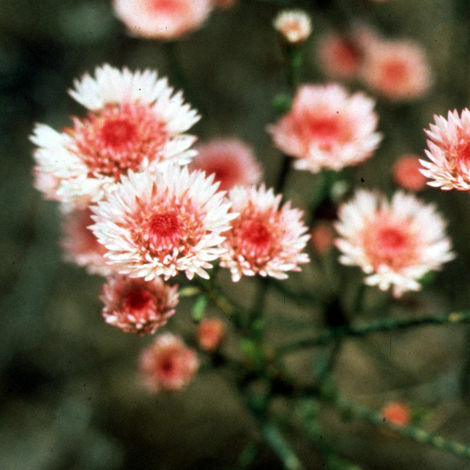 Hearing about her trips to the outback, and seeing the flowers that she has used as inspiration made us homesick. We think Petah has a particular talent with colors and will follow her work with great interest. You can visit the Dingo Dyeworks website and also find Dingo Dyeworks on Ravelry. 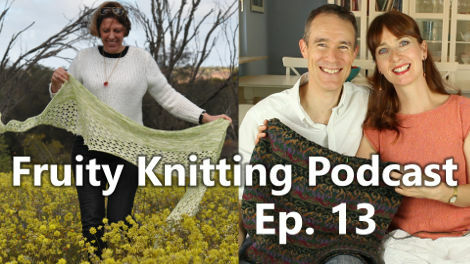 We continue our Australiana theme with Vicki, our guest on Knitters of the World. Vicki lives in Brogo, a small town of around 350 inhabitants in South Eastern Australia. 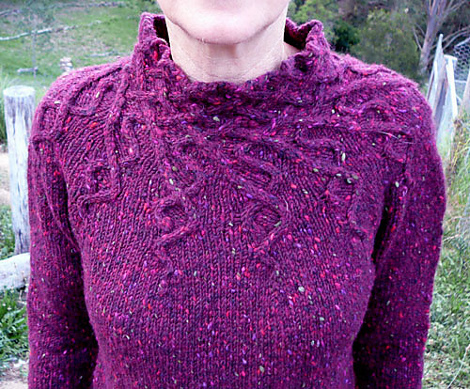 Vicki has an amazing portfolio of knitting projects, including works by Alice Starmore and some Fair Isle. Vicki also runs Redgum Soaps. At Redgum, we offer you pure, luxurious and natural skincare made the traditional way. We’ve created our entire range without using synthetic additives. This makes our products ideal for sensitive skin and for people who want luxurious, high quality skincare made from natural ingredients. 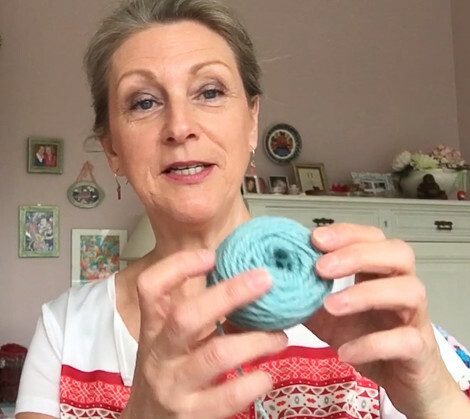 A big thank you to all who managed to get a video submitted for our mid-way Fair Isle KAL presentation. 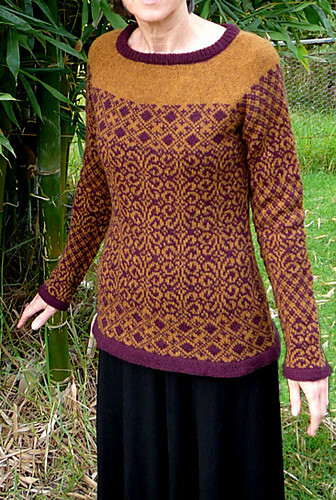 The KAL finishes at the end of October, with a 25 Pound gift certificate for Virtual Yarns as a prize. Keep giving us your updates via the Ravelry group. We will accept submissions for a final video presentation around the closing date of the KAL – details to come. 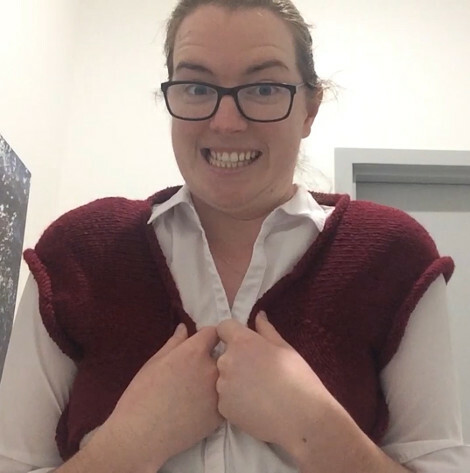 And thank you also to our exclusive group of submitters for the Fruity First Garment KAL presentation. Prize for the Fruity First Garment KAL is a copy of the book The Knowledgable Knitter by Margaret Radcliffe. 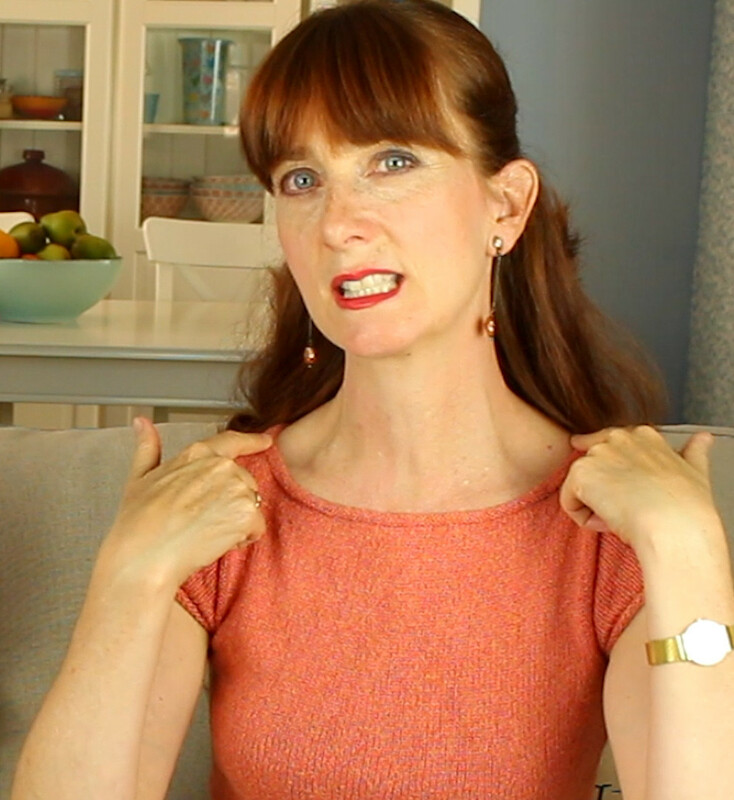 I’ve only checked a few sections (sewing in a zipper), but it is definitely a great resource as you get into garment knitting. 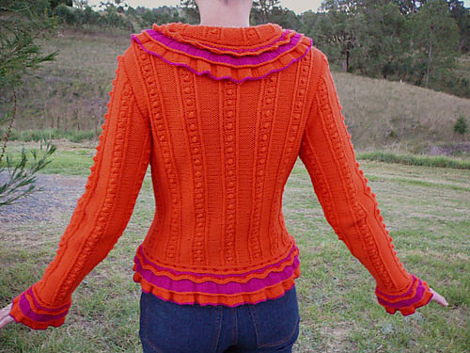 This KAL also closes at the end of October. Stick to your knitting! Andrea was wearing Cheeky by Kim Hargreaves. The yarn is a 60% raw silk, 40% cotton yarn from Danish designer Karen Noe. Chopin, Opus 57, Berceuse, performed by SimoneRenzi. Source. Fiddles McGinty by Kevin MacLeod is licensed under a Creative Commons Attribution license, Source and Artist Incompetech. I just found your show on youtube recently. Love, love, love it! I recently traveled to London, Paris, Alsace and Iceland with my grown sons and their wives. Saw the Icelandic sweaters and thought that I would come back home to PEnnsylvania, USA and knit one for each of my family members. I started with the Letlopi 100% wools and knit a few fair isle , but found it to scratchy for the five grandchildren and the ladies in the family. 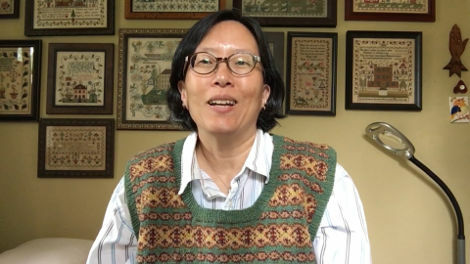 Since June, I have finished knitting 15 sweaters. I am so proud of my accomplishment! 15 sweaters!!! You are right to be proud. We still have sweaters that Andrea’s grandmother knitted – they must be thirty years old now. I think it’s great to be creating works that people will use and enjoy for years to come. Good on you. Another terrific podcast! I vote to have the firebirds on the front of the jumper looking at one another, with their tails nearly touching. It isn’t so much that the wonky whirly bit at the beginning of the round bothers me, it’s just that I like the birds better that way. Andrea, I am totally in awe of your knitting speed and of the beautiful fair isle fabric you’re making, whichever way around you decide to have the birds facing. I also enjoyed your guests very much. This part of your podcast is so interesting and fun to watch. I’m sure it is a lot of work putting it together and I want you to know how much I appreciate it all. I stumbled over your podcast and watched nearly one episode per day. Watching them in that concentrated way made me realize how much the both of you grow into your “hosting”-job episode by episode. Well, I know I still haven’ cought up with you but I have the strong feeling, I will next week… ?. Thank you for sharing your first steps, Andrew…and your knowledge, Andrea. It’s so fun to have you here on my couch while knitting my own projects. You’re such a nice company. On top I love the interviews and the knitters-of-the-world segment.One day I hope to send you a pic of my own extreme-knitting…but have to extreme knit my first time ever before that…? I’m looking forward to the “missing” 7 episodes and am very curious about the hiking jacket’s progress and the firebird’s decision.